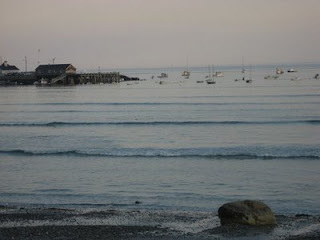 Kerry and I grew up in Nahant, a very small town North of Boston. It is only 15 miles from downtown Boston. We started our studio while living in JP but due to increasing rents for artists we moved to Portsmouth NH where Twigs and Heather grew to what it is today. We have always considered ourselves Boston girls so it was our ultimate goal to move back to the hood. It took two years of searching for just the right house in Nahant. We finally found it just over a year ago. It has our studio in it and we love it. 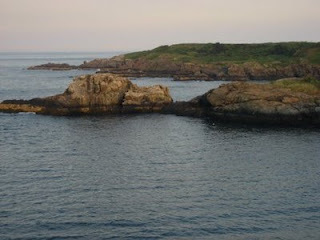 We can see the amazing skyline from many points in Nahant. Even from right outside our house. The summer is so special here. The town is surrounded by the ocean. We collect all our seaglass here and the twig pickin' is good too. We recently started a new collection of sea shell designs. 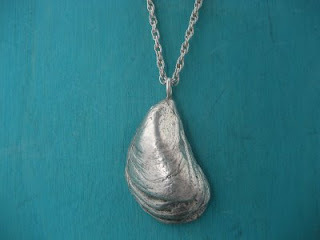 We hand picked the shells , molded them and cast them in sterling silver. We now have two shells in our collection and a few more on the way. 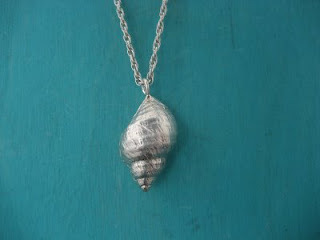 A mussel shell and a spiral sea shell can be found as necklaces on our website as well as on our Etsy page. We like to think that they are another sentimental reminder of the simple things that we all love and enjoy. We feel so blessed to live and work here and we hope that people who like our work can feel the deep appreciation for our surroundings. Here are a few of our favorite places that inspire us to do what we do.